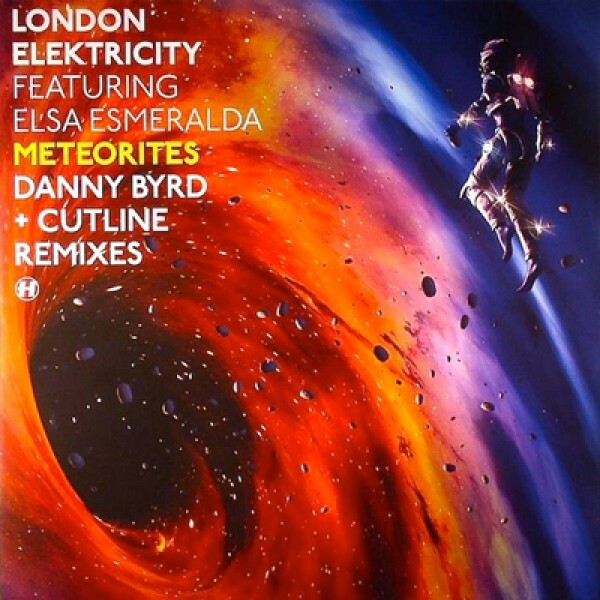 The second single from London Elektricit's highly anticipated album Yikes!, Meteorites pairs uplifting sonorous lyrics, trancey synths and euphoric energy with a typical musicality that will re-affirm London Elektricitys reputation as one of the leading lights in the D&B scene. The track features the vocal talents of Swedish vocalist Elsa Esmeralda, who features on seven of the tracks on the Yikes! album. Here she adds her trademark intimate, soulful tones to the proceedings to awe-inspiring effect. Danny Byrds remix is the hands-in-the-air sounds of Hospitality Room One - straight up. Expect rippling piano arpeggios, huge swells and tumultuous drops; all masterfully executed with the warm, fuzzy, feel-good furore that has earned him the reputation as the Rave Digger. Cutline re-work Meteorites into an exuberant, souped-up slice of dancefloor destruction. Scintillating synth work paired with all the hallmarks of a contemporary dubstep track, its one for the Mash-Up generation - destined to cause a ruckus, no question.